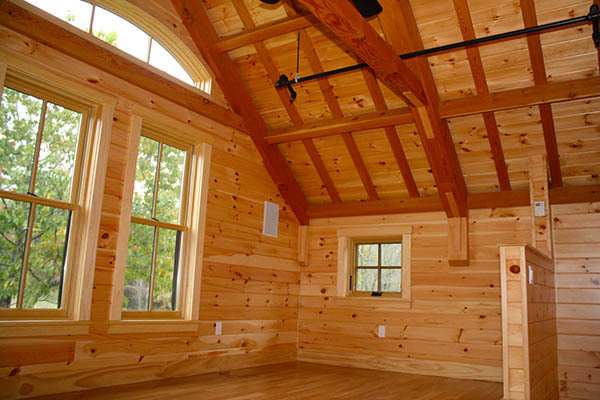 We’re very fortunate to build homes in an area of New Hampshire filled with local wood mills producing flooring, paneling, and even timbers for timber frame homes. 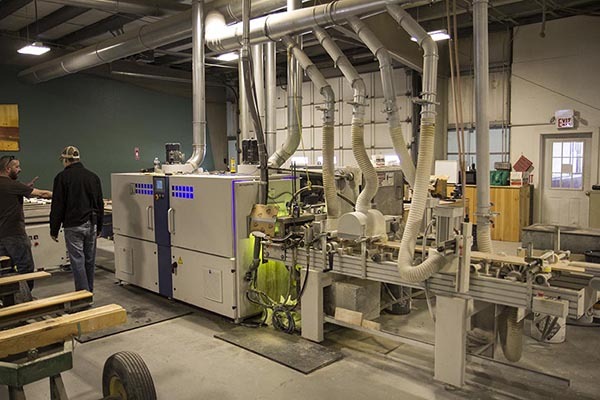 Just down the road about 10 miles from my office is Durgin and Crowell, a family owned fully integrated lumber company producing up to 30 million board feet of Eastern White Pine lumber each year. 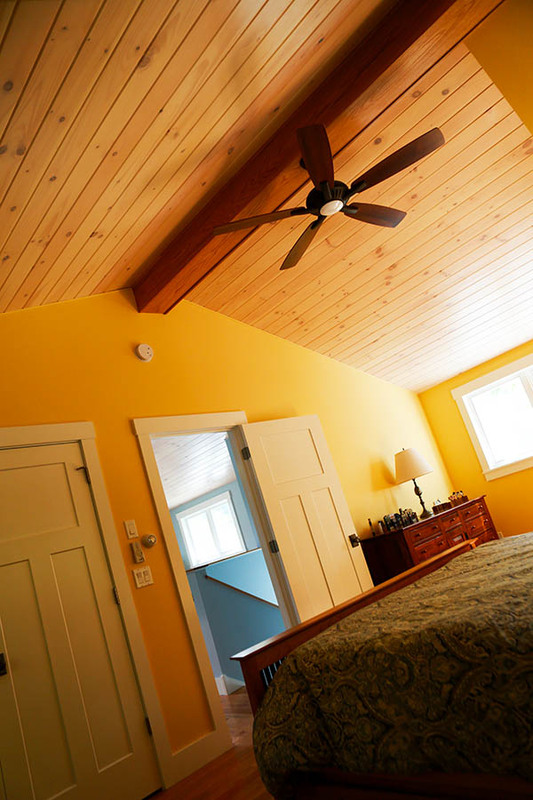 One of the products that they offer is called Enhance™ which is a pre-coated Eastern White Pine paneling product available in several finishes and profiles. 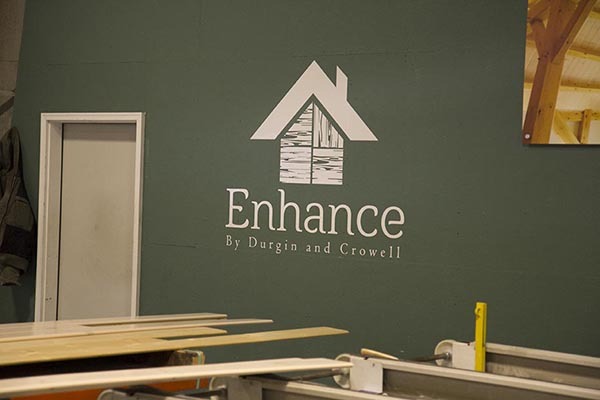 Over the last several years we’ve been using the Enhance™ pre-coated pine products from Durgin & Crowell in the new homes we’ve built. The photo above is a custom timber frame home that has Douglas Fir timbers and the Natural Finish Enhance™ V-Groove paneling. 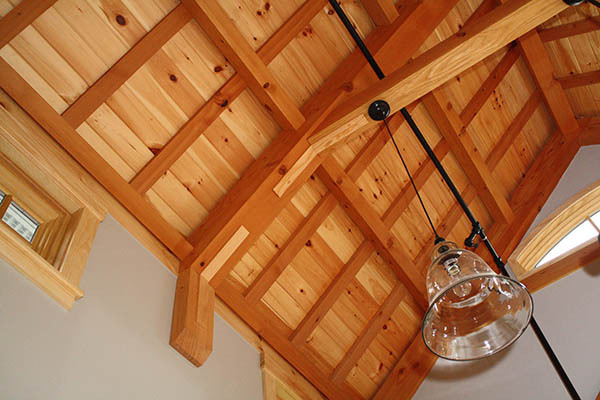 The paneling was used for ceilings and some of the walls within the home and really helped showcase the timber frame. 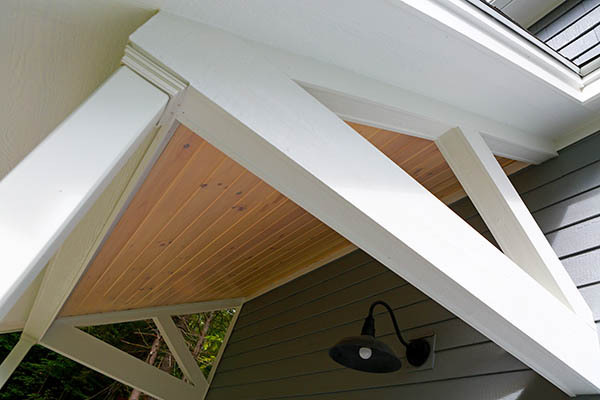 We’ve also used it in more traditional homes as accents for ceilings inside the home and on covered porches and three-season rooms. Above is a recent lake home we built with traditional framing and some accent ceilings that used White Wash Finish Enhance™ V-Groove paneling. The owner wanted something a bit brighter than the natural finish, and they just loved this finish as it shows off the natural beauty of the Pine with a brighter finish. 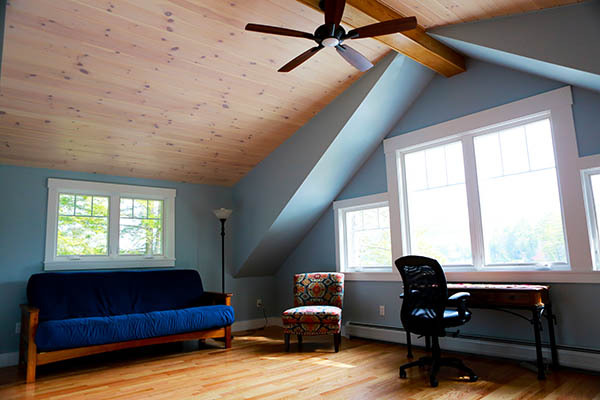 Enhance™ by Durgin and Crowell is a pre-coated, UV cured, Eastern White Pine paneling product. Durgin and Crowell starts with high quality Eastern White Pine that they mill themselves and is hand selected specifically for pre-coating. After the Pine is milled and brought to their pre-coating facility it’s sanded using a profile sander and 4 different grits. The profile sander not only sands the face, but also the tongue-and-groove profile ensuring superior adhering properties for the final coating. After sanding the board passes through a high speed air knife that removes all the dust from the sanding process. Finally the coating is applied through a temperature controlled vacuum coater to all 4 sides. Immediately the coating is cured using ultra-violet (UV) light. As the wood leaves the UV curing it’s stacked and packaged for delivery. The UV cured coating is very resistant to scratching and blemishes due to transportation and general installation. We’ve had incredible luck with having very little waste and damaged product which is a huge benefit when working on tight project budgets. Durgin and Crowell’s company moto is “We are pine passionate.” This is certainly evident by the quality and selection of Eastern White Pine products that they manufacture and sell. 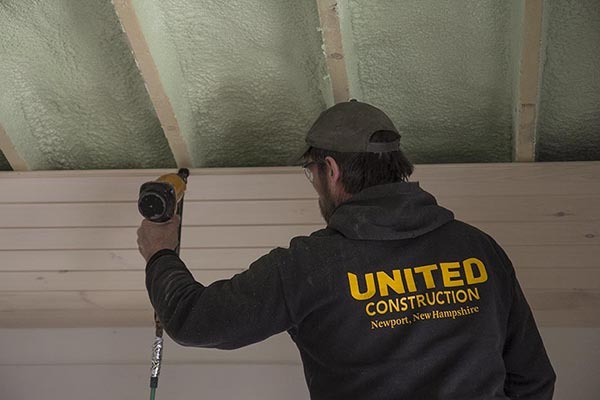 So why do we use pre-coated paneling? The answer is pretty simple and comes down to speed of installation, less wasted material and overall better quality for our clients. Faster – We’ve installed lots of this pre-coated Pine paneling and it’s much faster than raw wood. Because the wood is sanded on all the surfaces including the tongue & groove profile, and then immediately coated and cured, it fits together much nicer than raw tongue & groove material. We’ve found that the material remains straighter after it’s coated which also speeds installation. Less Waste – Every time we order Enhance™ we’re amazed at the small amount of waste on the project. 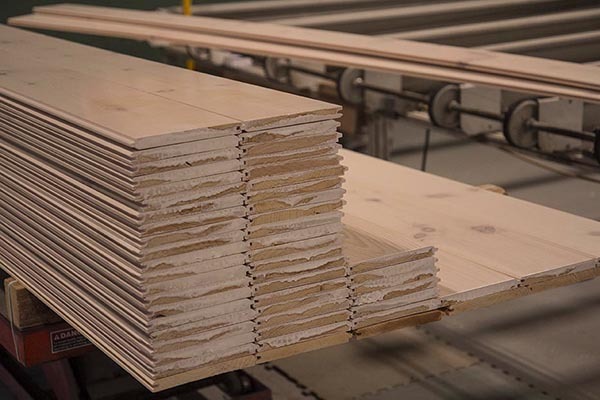 Typically when we order raw un-coated Pine paneling we’ll have 10% or so of waste due to crooked, twisted, cupped and waned material. However, with the pre-coated material we seldom get any boards that can’t be used. We feel this is a result of the material being coated and cured immediately following final sanding. Better Quality – The pre-coated finish that Enhance™ offers can’t be beat even by the best finishers in the field. These boards come completely finished with no runs, no streaks and an extremely smooth consistent finish. Shorter Construction Schedule – One of the other reasons we like using pre-coated material is the faster construction schedule that it gives the project. With a traditionally applied coating in the field the material would get sanded, cleaned, finish applied, scuff sanded, and likely several coats of finish applied. This takes considerable time and reduces access to the space for other trades. Enhance™ pre-coated paneling is certainly a premium product with it’s performance. At first glance you might feel the price is also at a premium, however, if you compare the price of this product to buying un-finished wood, then culling out the waste, installing it, sanding it, and finishing it, an argument can be made that pre-coated material is actually cheaper. It’s also a relatively small increase to go from painted drywall to pre-coated lumber. We can install the pre-coated material for between $4 and $5 per square foot. Painted drywall runs between $3 and $4 per square foot installed. But the real savings is in time, which on larger jobs can be quite extensive and ultimately save money on financing. Lastly, Enhance™ is a very environmentally friendly building material. Eastern White Pine is a sustainable building material that’s been a cornerstone for builders on the East Coast for centuries. Combined with the instant curing of 100% solid coating free of VOC’s ensures no harmful chemicals are brought into the home during construction. And an added bonus for us here is the ability to use a product grown, milled, and finished locally to our job sites.